It seems to be happening to me more and more. 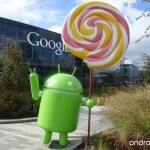 As a self professed Android fanboy I feel it is my duty to enlighten all the iOS users of the world. Honestly, I just don’t see how people can argue that iOS… the argument just doesn’t make sense to me, but I guess that’s an argument for another time. Check here for my unbiased summary of each os. Right now my aim is to dispel one of the biggest rumors in the debate; that Jailbreaking is equivalent to Rooting. 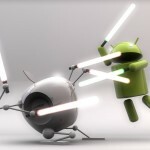 Whenever the iOS vs Android debate comes up the topic of rooting invariably comes up. This is often followed by “But I can always just jailbreak my iPhone! It’s the same thing!” It’s not the same thing! When you jailbreak an iPhone what you’re essentially doing is installing a cracked version of iOS. This cracked version gives you access to unauthorized application through any number of unofficial app stores; the most popular of which is Cydia. This is the extent of what jailbreaking does. Some of these unofficial apps give you the ability to tweak or mod your iPhone slightly but this is exponentially less than what is possible with rooting! In fact, anything that’s available via jailbreaking is already there on stock Android! That’s right, think about it, your Android already has that option to “Allow unknown sources” you just need to turn it on. And aftermarket apk files are easily found via Google though you should be extremely careful what you’re installing! When you root your Android you are giving yourself administrator privileges. Imagine when you see the little pop up on your computer asking you “are you sure you wanna install this?” and you need to give administrator permission? This is the same thing, you are now able to grant that permission on your Android which is never possible on your iPhone. 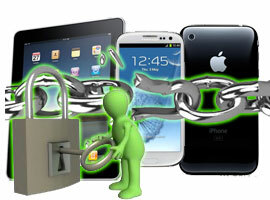 Rooting your Android grants you the power to modify your system files at their most fundamental level. You are limited only by how much you know how to code. Many users create files that can be installed in recovery mod and can be as simple as a themed dialer, or new notification icons. With the help of extremely powerful applications like Tasker you can do incredible things like automate your whole house. It allows you to modify files in your “Root” folder i.e. the absolute top level of your phone’s filesystem. This means absolutely everything in your phone can be changed if you know how to do it. If you don’t know how to do it there are luckily many people who are willing to walk you through the process on sites like XDA Developer forums. You can even change the whole OS if you want to and there are many options to choose from! Because you can change root files that means you can install custom versions of Android from within Recovery mode. There are entire communities of people making custom versions of Android, one of which is best for you! To sum it up in one paragraph; Jailbreaking allows you to circumvent some of Apple’s rules but you are still confined within the framwork that is iOS. Rooting your Android on the other hand allows you to change your device at its most fundamental level! It allows you to shape and tweak your device into the exact phone you want with the only limitations being your knowledge and courage.